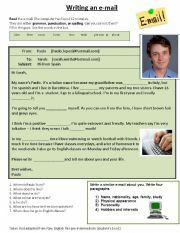 A nice a nd easy worksheet to pactise writing e- mails.I have taken and adapted it from New English File to use it with my teen students. 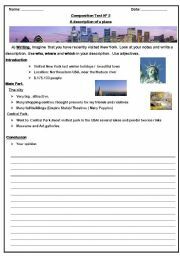 Are you teaching your elementary/pre elementary students to write a holiday postcard? 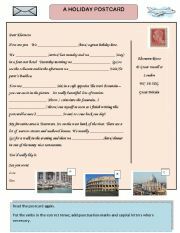 If the answer is YES, I´m sure you will find this worksheet useful!! 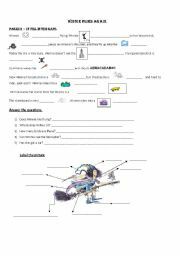 I hope you like it Note: This Worksheet is based and adapted from New English File elementary(unit 6- Writing activity). 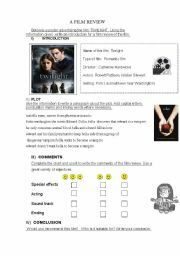 This is a useful worksheet to help pre intermediate students write a film review. 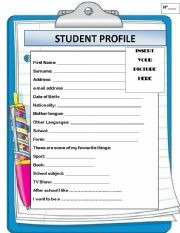 This worksheet can be used with students sitting for Ket.I have included a writing task(Part 9) It can be used as a quick test. Three exercises based on the famous book" Winnie flies again" ( pages 2 to 15). I hope you find them useful!!! A useful powerpoint to practise prepositions of place (on, in, under, in front of, behind, between, behind, next to)I hope you like it!! Have a nice week! 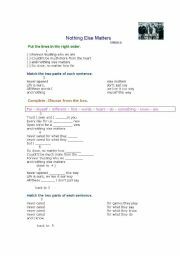 A useful powerpoint to teach and revise Simple present(third person singular) and daily routines. I hope you like it! 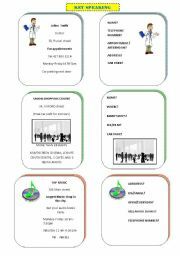 I have designed this power point to revise file 3 from English file elementary. I hope you find it useful! 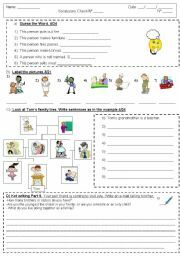 I have designed this powerpoint to revise unit 4 from English File elementary (third edition) I hope you find it useful!